Jackets hang in the showroom of the Canada Goose factory in Toronto on Feb. 23, 2018. Canada Goose is accelerating its push into China with the launch of two bricks-and-mortar stores and an e-commerce site this fall, betting on a growing market for its pricey made-in-Canada parkas. Canada Goose Holdings Inc. is teaming with China-based e-commerce powerhouse Alibaba Group and another Asian retailer to roll out its first flagship stores in Beijing and Hong Kong, joining other high-end brands in trying to cash in on the world’s largest luxury market. Canada Goose has been testing an e-commerce site, called CanadaGoose.cn, in China with a limited array of its offerings after having sold its products at other retailers in the country for about five years. 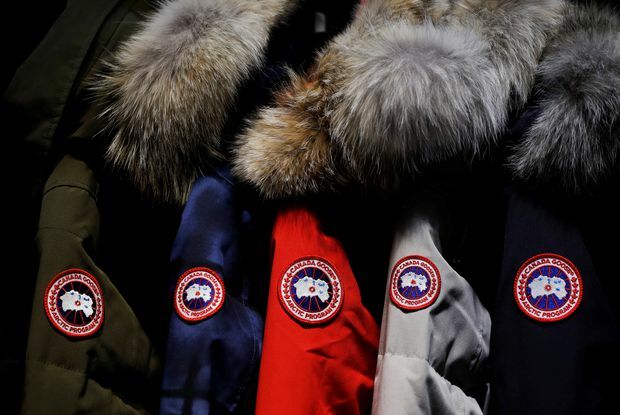 Canada Goose coats can retail for $1,000 or more at home; prices in China are even higher to make up for the added costs of shipping Canadian-made goods overseas, chief executive officer Dani Reiss said. “We feel we have a really strong, massive opportunity in China,” Mr. Reiss said in an interview. Now, the company is expanding its production capacity at its six factories in Canada, along with local contracted manufacturers, as it reverses the usual order of made in China, sold in Canada. “We do have capacity to meet the demand we believe will come out of China,” Mr. Reiss said. The move comes as global luxury sales are expected to pick up in coming years, helped especially by the burgeoning premium business in China – with luxury sales of US$247.6-billion last year – but amid weakening sales in the United States. Global luxury sales, which were valued at US$954.7-billion last year (including fashions, jewellery, wines and cars), are forecast to grow 5.2 per cent annually between 2017 and 2022, but jump by twice that rate – 10.2 per cent – in China in each of those years, according to market research provider Euromonitor International. Luxury sales in the United States, at US$178.9-billion last year, are expected to dip by 0.5 per cent annually in that same period, Euromonitor estimates. “Chinese consumers will represent a major force behind this [global] increase in luxury spending,” a 2017 report by consultancy McKinsey & Co. says. It predicts that by 2025 luxury sales in China will be equivalent to the combined size, in 2016, of the U.S., British, French, Italian and Japanese markets. Analysts point to the growing potential for Canada Goose in China, starting with its pilot website. 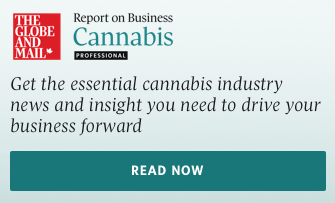 “Most of the items are sold out already, indicating the company is right to move forward with expanding in this market,” John Morris, analyst at BMO Nesbitt Burns, said earlier this year. He estimated that Canada Goose’s market in China could ultimately be as large as that in the United States. With more than $400-million of total sales in its previous fiscal year, Canada Goose is on track to reach $1-billion of sales with its pending entry into China and other initiatives, including expanding into new categories such as knitwear, said Brian Tunick, retail analyst at RBC Dominion Securities. Canada Goose says its products are sold by retailers in 38 countries and combined with its e-commerce site, its goods are available in 87 countries. In its new foray into China, the company’s partner, along with Alibaba, is a division of high-end fashion retailer Lane Crawford Joyce Group. Its ImagineX division will run and staff the Canada Goose-owned physical stores in China. Canada Goose also added its own bricks-and-mortar stores in 2016, competing with existing retailers such as department stores that already stocked its products. It has six stand-alone outlets today and plans 15 to 20 by 2020. Mr. Reiss said he envisions adding more stores to the first two in China, although he didn’t provide a target. Despite its strength so far in China, Mr. Reiss believes in a scarcity strategy under which the company doesn’t produce as much product as customers want, leaving them coming back for more.